Is This a Dangerous Place for A Bus Stop? 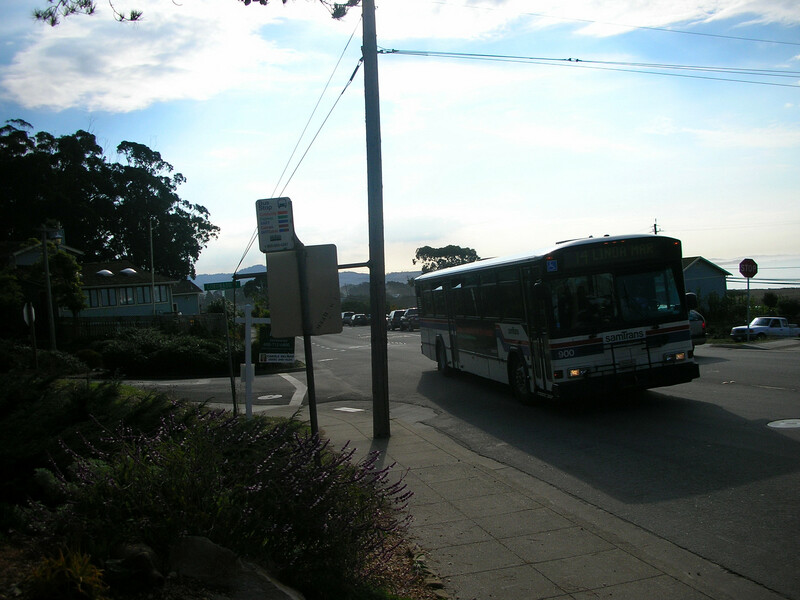 The bus stops at Coronado and Plaza Alhambra in El Granada, across the street from the Wilkinson School and a couple of blocks from the El Granada school. There’s no crosswalk anywhere so if you cross the street when the big bus, with the right-of-way, is coming, headed for the bus stop, you’re in big trouble. You could run, but…. There’s another much safer bus stop a couple of blocks down the street. Shouldn’t this bus stop be eliminated? That’s the bus stop on the left.